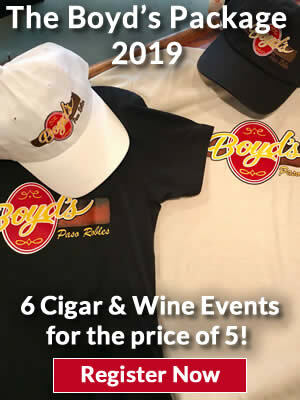 Boyd's Tobacco & Elegant Gifts is home to the Central Coast's largest selection of premium, handmade cigars. With over 200 brands of premium cigars, we offer an exceptional variety of your favorites, as well as a plentiful collection of unique premium smokes. We also carry rare and hard to find cigars alongside our regular inventory. These are typically special releases and limited production cigars, anniversary blends, and other annual and hard to find cigars. Please call us at (805) 239-8701 to inquire about our current selection of rare and hard to find cigars.